After months of intense searching, tense finals and a month-local world tour, all 16 Finalists of Nike’s ‘The Chance’ have enough footballing memories to last them a lifetime – but for three of them, their professional footballing life has only just begun. The top three players from Nike's The Chance Final have been announced in Manchester this evening as the global tour draws to a close; after a six week journey that has seen the 16 finalists experience professional football and elite training at the very highest level. Marco Di Lauro from Italy, Kevin Salazar from Colombia and Gonzalo Balbi from Spain have been awarded well-deserved places in the Nike Academy, a full-time player academy based in England and supported by the FA Premier League, until the end of the season. Nike's The Chance is a unique global talent search that gives amateur footballers the chance to prove themselves on an elite stage and take their game to the next level. More than 100,000 players from 55 countries around the world participated in Nike's The Chance 2012, culminating in the best 100 participating in a global final at FC Barcelona's famed youth academy. The top 16 players from the global finals in Barcelona last summer were invited to attend a global tour, under the watchful eye of Head Coach of Nike’s The Chance global tour and Nike Academy Director of Football Jimmy Gilligan, visiting some of the world's most iconic footballing institutions including Juventus Football Club, Manchester United Football Club, US Soccer and England's National Football Centre at St George's Park. The final stop of the tour saw the 16 young footballers visit England's National Football Centre at St George's Park.' 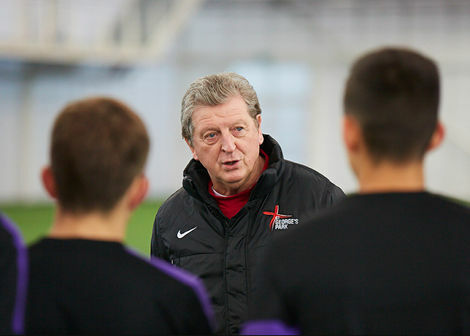 Nike's partnership with the FA granted the squad with unrestricted access to the world-class football facility and saw the players receive an intensive elite-level coaching session from Head Coach of England U-21s Stuart Pearce and England Manager Roy Hodgson. 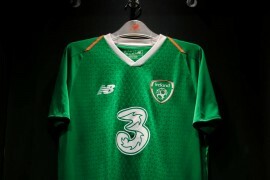 On the selection of the top three young footballers, Head Coach of Nike’s The Chance global tour and Nike Academy Director of Football Jimmy Gilligan, said: Ĺ›The global tour has afforded these 16 finalists the footballing opportunity of a lifetime.' The commitment from the squad has been relentless and the standard of football highly impressive. Ĺ›Each of the finalists have given everything they have during their time with us at Nike's The Chance, and each one can hold their head up high and know that they did themselves proud.' It has been a pleasure to work with all of them and I wish each one of them every success for the future ” I am sure this won't be the end of their journey. Throughout the tour the 16 finalists benefited from an extended team of elite coaches, nutritionists and fitness conditioners throughout the tour, to ensure they arrived at each training session and fixture focused and in peak condition.' And each stop gave the players the chance to catch the eye of leading coaches in the game. Since the start of The Chance competition in 2010, 16 players have turned their participation into a professional club contract. The most recent, Tom Rogic from Australia, signed for Scottish Champions Celtic FC and recently played for the Australia national team. Proves that no matter how good your are, being humble and respectful is the last paying feature of the team. I bet others are good but nothing like this.